Not since Y2K have I seen a topic capture as much CIO and business leader interest as digital transformation. Make no mistake, becoming a digital organization has become a top priority for almost every organization across every vertical. 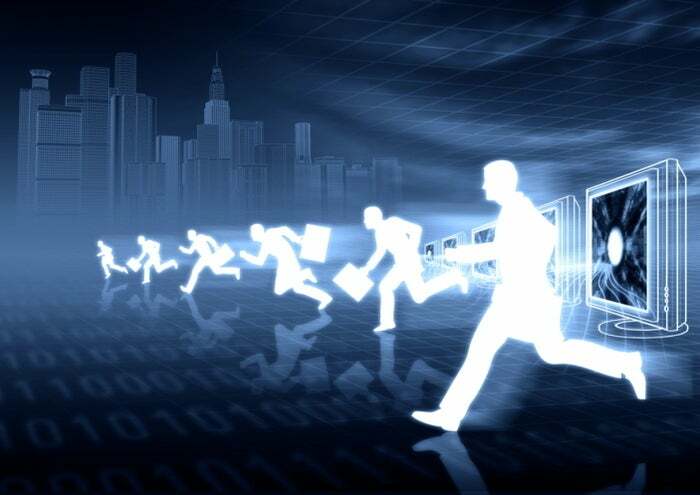 The big question on the minds of most CIOs I talk to is “where to start?” Digital transformation has so many implications that deciding on how and where to begin can almost be paralyzing. From the research I have done, digital initiatives can vary greatly by company size or by industry, but I can roll all of them up into three broader categories: creating new business models, empowering the workforce, and improving customer experience. Of those three, improving customer experience is the most important, as it is now the top brand differentiator. One proof point of this comes from ZK Research, which found that two-thirds of millennials admitted to changing loyalties to a company because of a bad experience. The older generations still tend to be a bit more loyal, but the tide is definitely turning with them, as well. The challenge for most companies is that the entire definition of a great customer experience has changed. For many organizations, such as retail, travel and financial services, it starts with their contact center. This is where customers interact with the company to get information, solve a problem, buy new services, or other tasks. A great customer experience was predicated on having polite people answering the phone and reacting to what callers ask about. This often required the customer having to give account numbers or other information repeatedly every time they were transferred to a different service rep. We accepted this because it’s the norm, but people want more accurate answers faster — and that is signaling a new era in contact centers. As an analyst I never did much work in contact centers because there wasn’t much innovation going on, although I did research in the area of unified communications. Contact center technology went from voice only to multi-channel when email, chat and other communications tools were added, but that’s not earth-shattering. Today, however, the industry sits on the precipice of a major sea change because of the shift to the cloud — and that opens up a world of new possibilities. Last week, I attended an industry analyst event that was part of Five9’s CX Summit. (Note: Five9 is a client of ZK Research.) For those not familiar with Five9, they are a contact center vendor that was born in the cloud era and has been the industry's loudest voice with respect to shifting what was once a market dominated by on-premises infrastructure to the cloud. Evidence of how this market is changing comes from the financial markets. In the past two years, Five9’s stock price has almost quadrupled, going from about $8 per share in January of 2016 to about $31 per share where it sits today. In the same timeframe, the market leaders in the contact center — Avaya, NICE and Genesys — have gone through their significant restructuring and have acquired cloud contact center vendors to transfer their base. (Note: Avaya is a client of ZK Research.) Every significant technology change spurns new leaders and creates laggers, and it's fair to say Five9 has been leading this industry for the past five years, although it's been only the last two where the movement to the cloud has accelerated. During the presentations to the analysts, I thought the Five9 executives painted an interesting vision of what’s possible when contact centers shift to the cloud. And I feel it is in alignment with much of the research I have been doing and my vision for customer service. Over the next few years, call centers will shift from being reactive to become much more proactive and predictive, and this will become the basis for competitive advantage. During his presentation, Gaurav Passi, executive vice president of products and R&D at Five9, gave an example in which a customer, “Kate,” notices she was overcharged $15. The onus is on the customer to start an interaction using chat. Despite being logged into her portal, she still needs to explain the problem and have her account authenticated. If the person can’t solve the issue, it escalates to a voice call in which she must start the process over. At the end of the interaction, a good company will refund the money, but that still leaves the customer feeling frustrated. With an omnichannel solution (where there is visibility and integration across all channels), Kate would start the chat, the agent would see her customer status and could issue a refund automatically. If Kate wants to discuss other account issues, all the information about her account and that specific transaction would be visible to the agent, effectively making them smarter. In the future, it’s likely the vendor will notice such errors and proactively notify the Kates of the world of the mistakes and automatically correct them. 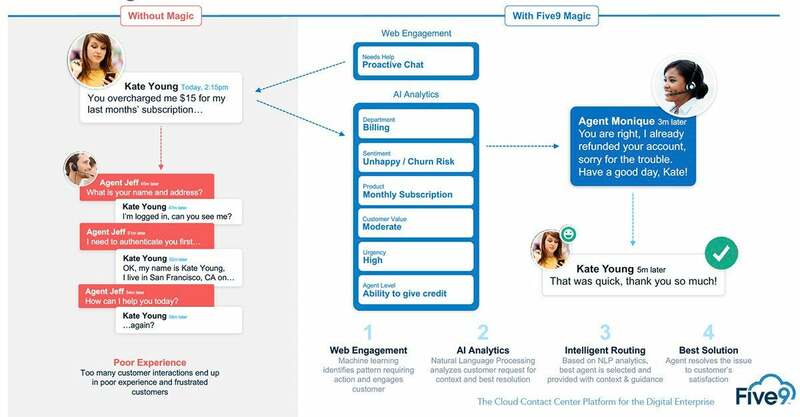 Looking further out, artificial intelligence (AI), natural language processing (NLP), and the Internet of Things (IoT) will play a much more significant role in how the contact center operates. The contact center will be almost “Google like” in its knowledge of who we are, products we purchased, our preferences, dislikes, etc., and companies will be able to proactively reach out to us with recommendations. This will change how we purchase and consume products. This is where shifting to the cloud becomes mandatory. As I pointed out earlier, the legacy contact center industry did not evolve very fast, so it was easy to put a system in, and perform an upgrade once a year. In today’s world, things change almost daily, and it’s impossible for most organizations to continually update their systems. Shifting to the cloud ensures that customers are always on the cutting edge of customer service without having to do exhaustive development, testing, quality assurance, etc. as they get new features when the contact center vendor makes them available. Also, things such as NLP and AI take massive amounts of computing resources, far more than most customers have. A cloud solution offers the necessary scale, resiliency, and elasticity necessary to power the future needs of a contact center. Investing in a premises-based solution may meet current needs, but it will put the company behind competitively in just a few years. One final note on voice as a channel in the contact center. With all the new forms of communication, such as chat, SMS, and social media, there’s a tremendous amount of rhetoric that voice is dead. Nothing could be further from the truth. During his presentation, Five9 President Dan Burkland highlighted a data point from a recent survey that found that the phone is still the preferred method of communications for 54 percent of the respondents. That could be viewed as self-serving because Mr. Burkland represents Five9, but one of the company's customers backed up the point. Andrew Gucciardo, customer support systems analyst at Venmo, was gracious enough to do a Q&A with the analysts and was asked about voice. He told us that Venmo initially did not offer voice as a channel because they felt their users would prefer to communicate through chat or SMS. However, users wanted voice communication, and it quickly became the company's top channel after they added it. I believe voice will continue to be less important when customers initiate interactions with a company. But when a customer wants to discuss something important, such as money, they will always opt to speak to someone and will want answers fast, hence the importance of multi-channel. The world is changing, and the way companies deal with their customers’ needs to change, as well. The Five9 CXSummit provided a preview of where this industry is headed. The fastest, easiest way for businesses to get there is to shift their contact centers to the cloud. The contact center is something that most CIOs and CEOs would pay little attention to, but given the competitive dynamics in an increasingly digital world, it’s time to put some executive focus here.